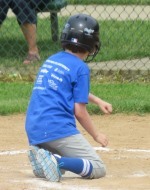 To register for Challenger Little League, please use the link below for the form. To apply for the Steve-O Foundation scholarship, please use the link below for the form. Support your local Challenger Little League.